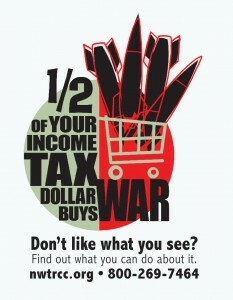 Is War Tax Resistance Elitist? War tax resister David Gross recently appeared on the Litopia After Dark podcast (discussing some of his countercultural/culture-jamming activities in addition to tax resistance and his book, 99 Tactics of Successful Tax Resistance Campaigns). Co-host Peter Cox repeatedly stated that being a war tax resister was “elitist.” He even said, “Most people can’t do [war tax resistance], so it is almost by definition quite elitist.” This is a truly mindboggling definition if I’ve ever heard one! But I wanted to break that down a little. No doubt, war tax resistance can make non-resisters uncomfortable. We are saying that the system is so corrupt and wrong that we cannot cooperate with it. We are asking people to consider whether they can, in conscience, cooperate with it. Many people, in my opinion, confuse whether they can do something risky with whether they want to do something risky in service of their principles. At various points in my war tax resistance I have earned wildly different amounts of money. It’s easier for me because I don’t have dependents or property – but on the other hand, many resisters do own property and have family they are responsible for, and they still manage to live their lives. For some resisters, living on low incomes to avoid war taxes and live the life they want to live is a choice they get to make, because they can get work that pays more or they don’t have dependents (like me). For others, their situation does not permit them to earn more money, but their resistance is even more valuable, in my opinion, for the risk they are taking on. In any case, I am reminded of what war tax resister Clare Hanrahan says, “The example of integrity of lifestyle that I sought was a more valuable legacy to my daughter than financial security.” This isn’t what I think of when I think of elitists! Other resisters accept the risk of earning more and potentially owing more to the IRS. Their financial position may make them middle- or upper-class, but they are better able to absorb the impacts of resistance as well. Elitists would resist for their own personal gain or for self-importance. Elitists would not resist for the purposes of conscience, resisting war spending, or hoping to build an anti-war movement in solidarity with nations and peoples under attack by the United States military, but these are all goals that different war tax resisters have. In my opinion, what matters with your advantages is how you use them, whether that’s an identity-based advantage like being white, male, non-transgender, or able-bodied, or a condition-based privilege like class status or earning capability. Do you use your advantaged position in society to advance equity and justice, or do you use it to advance yourself at the expense of others? 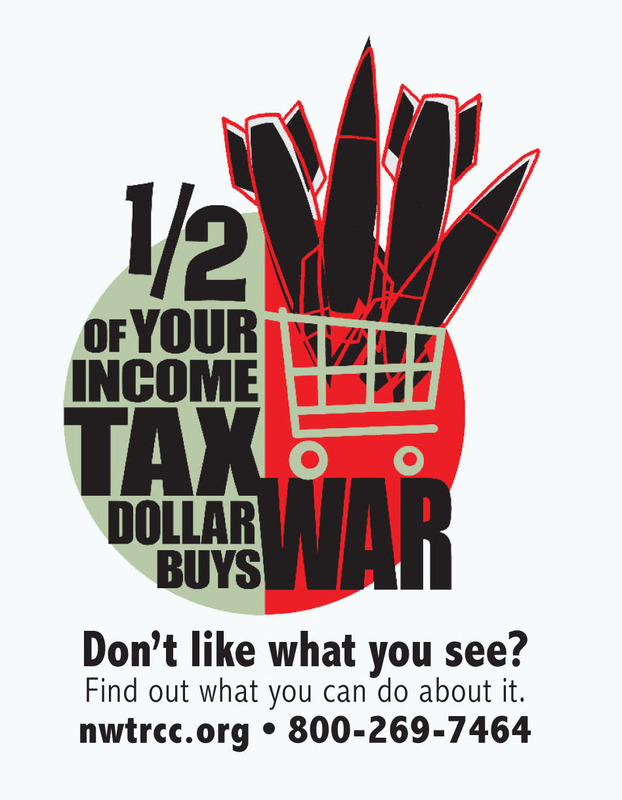 Not everyone will be or should be a war tax resister – but lots more of us who oppose war and oppose government spending on militarism could be war tax resisters than are. It doesn’t take 100% of people being war tax resisters to stop war. It wouldn’t even take 10%, if there were a powerful anti-war movement applying other types of pressure behind us. Go listen to the podcast and comment below about what you think of it! I am of the persuasion that war tax refusal is ONLY “elitist” in that WTRs have grappled with conscience. In Maslow’s Hierarchy of Needs the greater part of the masses will always struggle with life’s basic necessities: gaining access to food, clothing, shelter. Fewer will be able to partake of higher education. And the fewest of all will acheive “self actualization”. If we equate “elitism” not with monetary wealth but instead reaching a place of fulfillment within oneself, a level of realization or actualization, then perhaps WTRs ARE elitist… Those people I have encountered that do war tax refusal are compelled to do it – and perhaps could not live contented if they did not. Perhaps the right word is NOT elitist. Perhaps better terminology might be “ethicist”.